As organic products continue to grow and expand, Red River Commodities helps food manufacturers start or expand their own organic product offerings. We have a healthy base of organic farmers throughout the Midwest to ensure consistent supplies and high-quality certified organic sunflower seed, organic hulled millet and organic brown and yellow flaxseed. In addition to our quality control processes, we are inspected and currently fully approved by the USDA’s National Organic Program, which includes all aspects of our processing, from handling to cleanouts. We’ve also worked with other inspecting organizations as requested from customers. 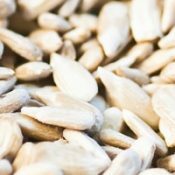 Organic sunflowers specifications typically fit our conventional processed sunflower kernel. 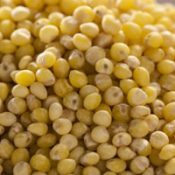 Organic hulled millet from growers with millet specifically for human food consumption. Color and purity can vary a bit, yet our organic hulled millet processes to consistently high levels each year. 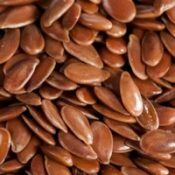 Organic brown and yellow flaxseed processed in our innovative cleaning process that allows us to offer high purity flaxseed with extremely low foreign material.